Villa hingavus ning soojus annavad beebile kõige paremad tingimused külma ilmaga vankriga väljas käimiseks. Oluline, et seesmine kiht on 100% puuvilla, mis on mugav lapsele (ei aja higistama). Soojakoti / vankrikoti pikkus 85-115cm, pikenduseta 85 cm, komplektis oleva pikendusega 115 cm. Laius 45cm. Libisemiskindel põhi. Täielikult avatav. Käru rihmade jaoks sisselõiked, sobib enamus kärudesse. Lisainfo Voksi tootejuhilt tel +372 53013444. Helista julgelt, küsi lisainfot või saadavust. ENG: The Voksi® Urban perfectly fits to your stroller seat and cot, but can also be used as a sit mat or underlay for your child by zipping the top part off. When developing the Voksi® Urban, our goal was to provide parents with a combination of soft and temperature-regulating materials that caress the child during cold. Carefully selected natural materials in combination with smart ways of adapting the Voksi® Urban make it the perfect fit for the parents who seek for a warm and comfortable solution during cold weather. To provide your child with warmth and the highest comfort, the material combination of wool, down, feathers and soft cotton keeps your child warm during cold days. The wool filling in the bottom part has the unique ability to transport moisture away from the baby’s body while keeping a stable and comfortable temperature. The down/feather-filled top part creates a cosy and lightweight protection for your child. While down functions as an isolating layer, feathers protect against wetness and wind. Besides high-quality materials, the Voksi® Urban also features two-way zippers, so that you can easily adjust it to the temperature conditions and your child’s preferences. By zipping open the foot end, you can allow for quick ventilation. 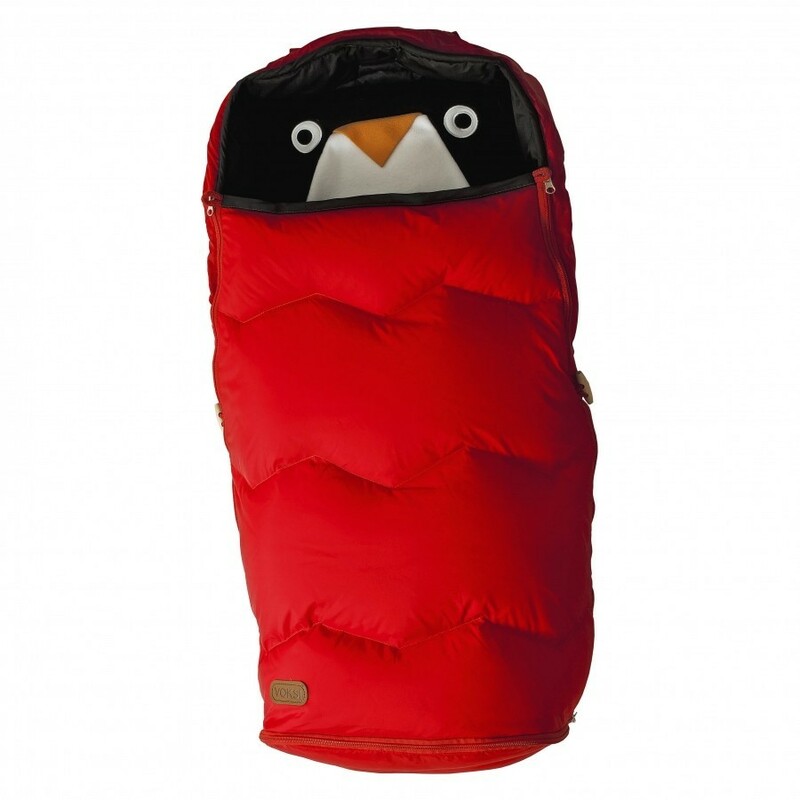 The zippers further allow you to zip off the top part entirely, so that the Urban can also be used as a comfortable sit mat or underlay during your child’s daily adventures all year round. Anti-slip material on the back ensures that the footmuff stays in place in your stroller during the whole time, while pre-cut holes for the stroller’s internal harness enable additional safety for your child. A pacifier holder badge near the head opening helps you to always keep your child’s pacifier in reach by attaching a pacifier holder to it. The extension part allows your child to use the Voksi® Urban until approx. 4,5 years of age, making it a great companion not just for the stroller, but also for first or camping trips. All materials of the Voksi® Urban are certified according to the Oeko-Tex Standard 100, Class 1. Oeko-Tex is an independent testing and certification system for textiles, intermediate and end products at all stages of production. By choosing a product made of Oeko-Tex certified materials, you as a parent can be sure that your baby is surrounded by materials free from hazardous substances or harmful chemicals.